Sun City Palm Desert-St. Croix. This lovely Great Room, Golf Course home is being sold Turnkey Furnished. 2b/r-2ba + Den/Office. Beautiful Waterfall & Curved Walkways at entry. 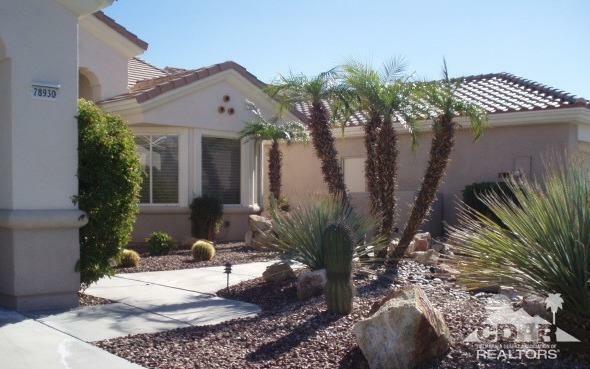 Light & bright home w/lovely furniture, fans & light fixtures throughout. Wonderful wall units in Den & Living Rm. Painted in desert colors, Tile floors, upgraded carpet. Custom & Silhouette window coverings. Island kitchen w/newer refrig; breakfast nook wall of windows + bar eating area. 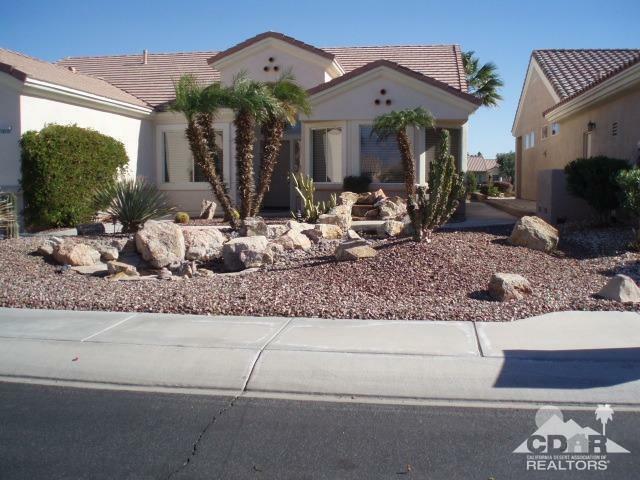 Wonderful MBR large & relaxing w/french door to patio. MBA has double sinks & cabinets, large walk-in shower. 2nd b/r & bath are down the hall away from Great Room. Laundry room w/cabinets. Garage w/work bench & swamp cooler. The very pretty EZ-maintained back patio has extended cover, citrus tree, bushes & is off the 3rd green. This beautiful home is in move-in condition. 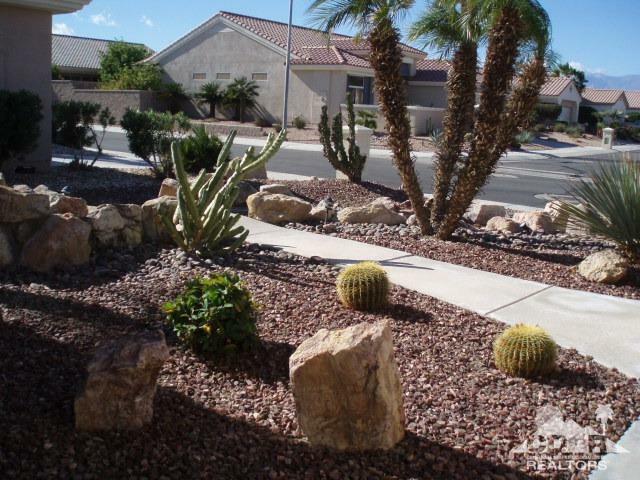 Sun City is 55+ active community w/2 golf courses, over 60 clubs, restaurants, 2 gyms & variety of entertainment. 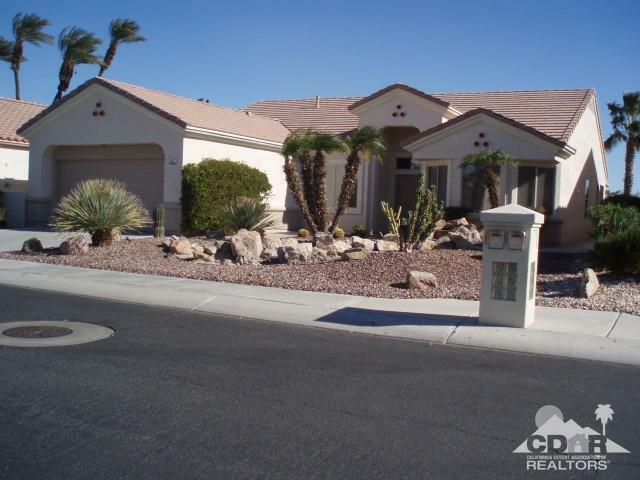 Listing provided courtesy of Jean Spisak of Sun City Realty.